If your household appliances aren’t working like they should, Mr. Appliance® of NYC should be your first call. Whether your refrigerator is leaking or your washing machine stopped working, you can count on our appliance repair experts to whip them back into shape! Not only can we save you money now and in the future through effective repairs, but our parts and labor are backed by a 90-day guarantee. If the same part in the same appliance fails within a year of installation, we’ll come back to replace it at no added cost. We also offer flat-rating pricing and upfront quotes so that there won’t be any surprises when the job is finished. With us, you pay by the job – not by the hour. Even if we take longer than expected, we won’t charge you for overtime. What other reasons do you need to give us a call? Call (855) 793-9878 to schedule a service! "To create encore experiences that customers can't wait to share with others." At Mr. Appliance of NYC, we know that your time is valuable. 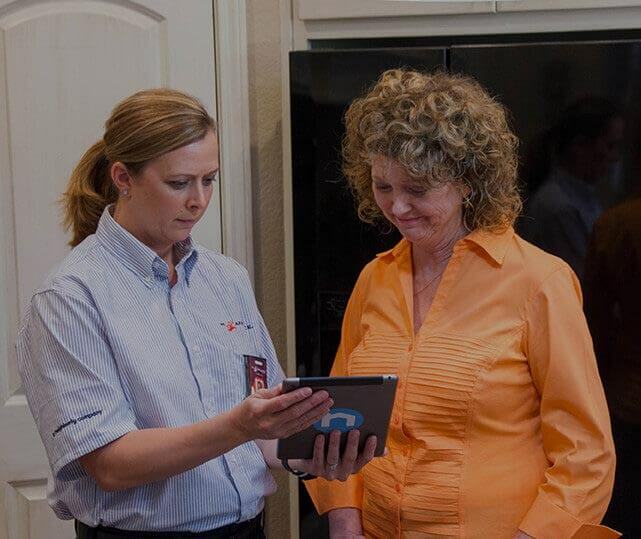 This is why our technicians work around your schedule – and not the other way around. Do you need us to show up in the morning? No problem! Do you want us to come later in the afternoon? We’ll see you there. Our entire team is committed to your 100% satisfaction, so you can rest easier knowing that Mr. Appliance of NYC is on the job. When our technicians are done working on your appliances, it will be like we were never there. We are committed to leaving your home cleaner than we found it, so you don’t have to worry about us leaving a mess. Help is just a phone call away!